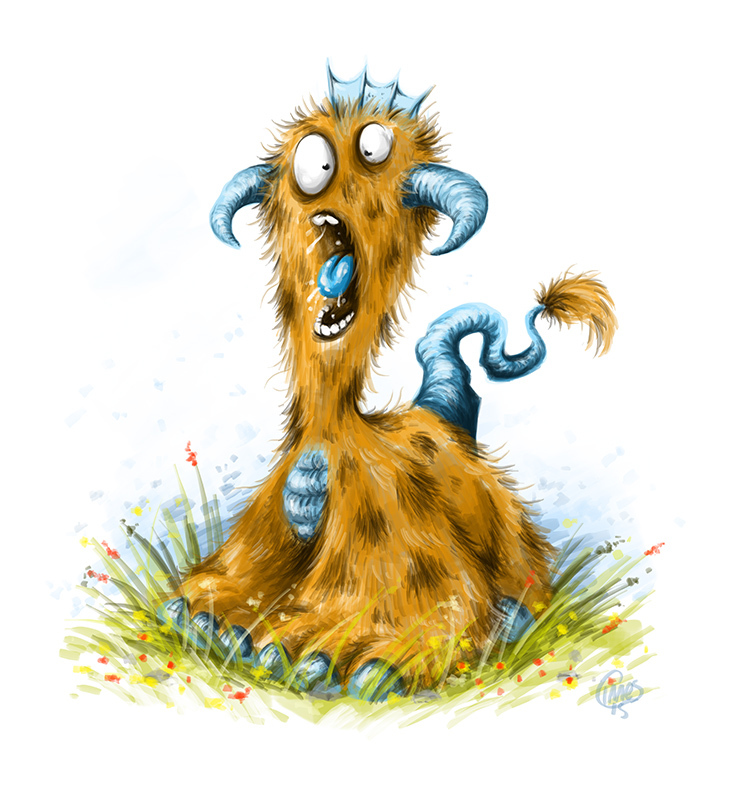 The Screaming Goozenflap | Calvin Innes Illustrator, cartoonist, artist, author, designer & school presenter. The Screaming Goozenflap is one of hundreds of different monster illustrations I've put together. My monster cartoons/illustrations have been used in books and magazines, on games, turned into toys and used in all sorts of printed and digital media. This little guy is a character I designed for use in my drawing tutorials.